And so to the main event of our 2017 extended trip to the Antipodes. Following our 3-week Australian wildlife foray, we made a 4-week campervan trip around New Zealand. This constituted two “lifers” for us being both our first time in New Zealand and our first time in a campervan. We spent one week on North Island, followed by three weeks on South Island. This was primarily a landscape tourism trip for Carol rather than specifically odo-hunting but, though not travelling to specific dragonfly locations, we took every opportunity to see what we could en route. Route, BTW, was 3000mls/5000kms. 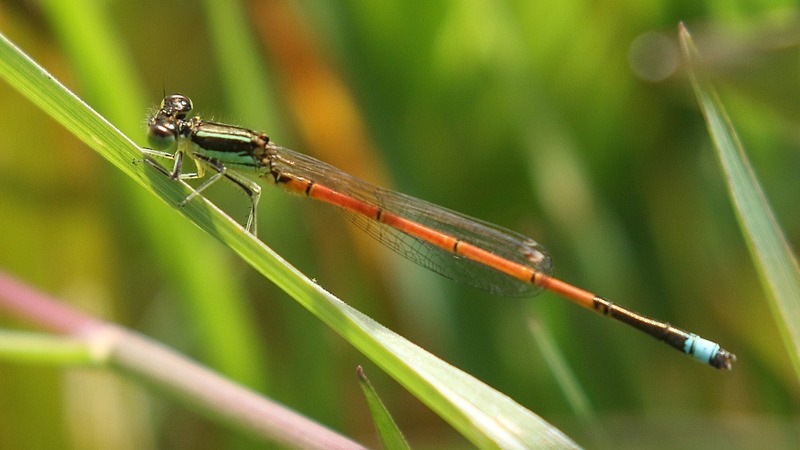 First, a word or several about New Zealand odonata. 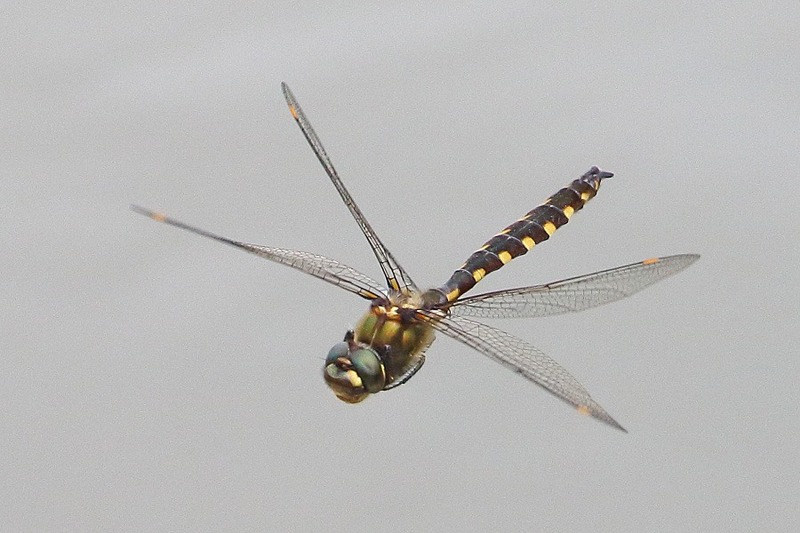 New Zealand has a paucity of dragonflies. Before our trip, the total number of recorded species in New Zealand was 17, 2 of which are very rare vagrants/migrants: Orange Glider/Wandering Glider (Pantala flavescens) and Red Glider/Saddlebag Glider (Tramea transmarina). So, realistically we were down to 15 resident NZ species. A further 2 of those 15 are in strictly limited geographic locations: Chatham Island for the Chatham Redcoat (Xanthocnemis tuani) and the alpine headwaters of the Rakaia River, above Arthur’s Pass, for the Alpine Redcoat (Xanthocnemis sinclairi). So, on a casual trip we were effectively down to 13 possibles. However, unbeknownst to me in 2017, two 2014 and 2016 scientific papers documenting new studies had combined three species into one; New Zealand had lost its Kauri Redcoat and Alpine Redcoat as distinct species – both were now considered to be the Common Redcoat (Xanthocnemis zealandica). Thus, my resident species had dropped to 13. Those in bold type are NZ endemics. Our locations outnumber the species involved by a wide margin, so I’ve taken a different approach on this report. Rather than summarizing by location, I’ve summarized by species, noting for each the location(s) in which they were seen. Here’s the map of indexed locations, the increasing indexes indicating our route. This was without a doubt the most widely seen of our target species. A New Zealand endemic, we saw it widely across both North and South Islands. If we encountered just a single species at any location, then this tended to be it. On day #2 in Gilmour Reserve at Waihi, a tandem pair was the subject of our first encounter with any New Zealand odo. Being at Gilmour at all was fortunate because it was on a side road that the satnav chose as a short cut. There is still some debate in my mind as to the precise identity of these Gilmour Reserve specimens. Chances are that this was probably X. zealandica, based upon habitat. However, there is a suspicion that our friend could have been X. sobrina (Kauri Redcoat) which is a larger critter by about a centimetre. We did form the impression that this Gilmour Redcoat was a good size and the X. sobrina is certainly nearby. However, I did snag an androchrome female at the same location and androchrome females of X. sobrina are not recorded, I’m told. I suppose it is possible that both Redcoats could be at the same location – now there’s a thought. The second most widely seen of our New Zealand friends was A. colensonis, another New Zealand endemic and again on both islands. 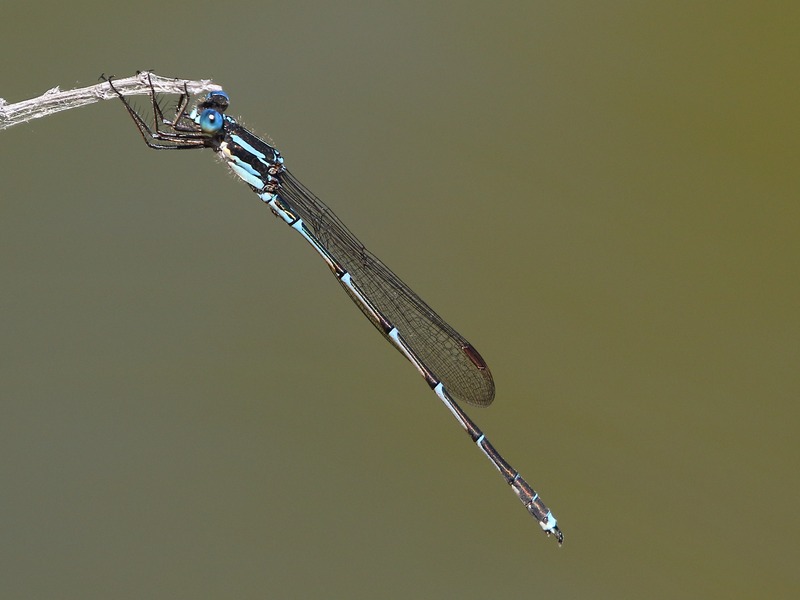 It is quite a large damselfly, noticeably larger than the Redcoats. If a site showed two species, they tended to be X. zealandica and this, A. colensonis. Widespread NZ suspect number three was Procordulia grayi (Yellow-spotted Dragonfly), another NZ endemic. I was not confident about seeing these before we started so when we spotted a couple flying around on our third day on North Island, I was a very happy camper. I was even more delighted to manage a flight shot, since neither of my suspects ever settled. In fact, though we saw this species several more times at several different locations, we never did see one stop flying but we did collect a few decent flight shots. I had really been hoping to see this diminutive delight which is a mere 1in/25mm long. Actually, by the time we got to NZ we had encountered it at a couple of sites on the earlier Australian leg of our Antipodean trip. It was very satisfying, though, to see it in New Zealand itself at Gilmour Reserve in Waihi on only our 2nd day. It is apparently limited to North Island. This is another one that we’d encountered on the Australian leg of our trip, where it is known as Adversaeshna brevistyla (Blue-spotted Hawker). 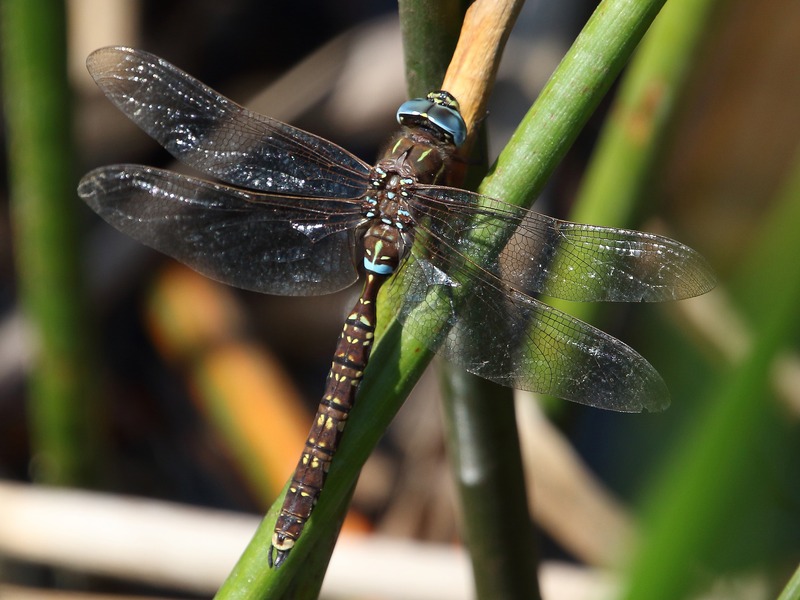 The NZ dragonflies site I was using has Aeshna brevistyla (Lancer Dragonfly); quite where Lancer comes from, who knows? An almost tireless flier, at our first encounter it did eventually settle for Carol and she snagged a shot amongst reeds. Later in the trip, though, we met it again and this time it was somewhat more cooperative posing where obstructions could be avoided with care. We first encountered this confusing character flying over a pond thick with lily pads near the enticingly named Cape Foulwind on South Island. We were unsure what it was at first, the quality of the only in-flight photos I managed being poor shooting into very strong contre-jour lighting over a confusion of vegetation. NZ dragonflies do not seem keen on settling, I’ve noticed. 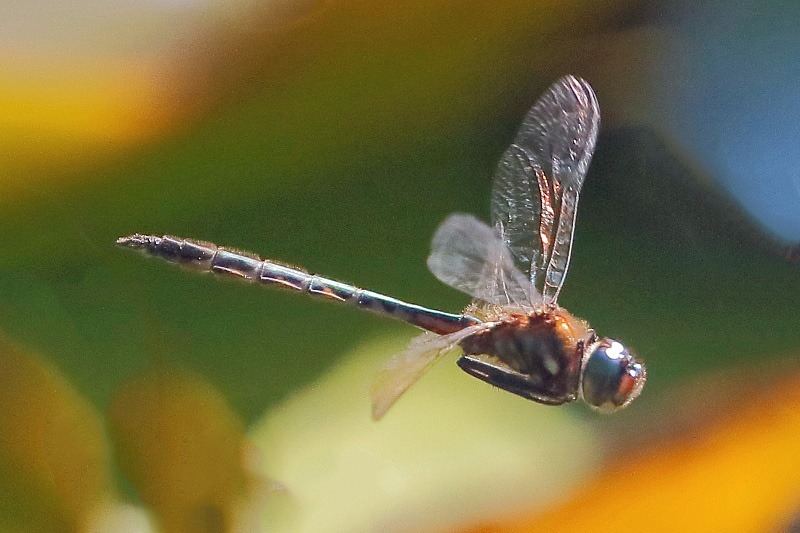 From what I could see, though, this character looked for all the world like Hemicordulia australiae, known as the Sentry Dragonfly in NZ but it’s the same beast as the Australian Emerald back across the Tasman Sea in Australia. However, my pre-trip planning information [see above], suggested that H. australiae was limited to the North Island and that its flight season would not yet have begun. Fortunately, I had since made contact with the author of the book on NZ dragonflies, Richard Rowe, and he put me straight on location and timing. He agreed that it was indeed H. australiae. We subsequently saw them again at Marble Hill in the Lewis Pass, still never settling and we couldn’t get a picture at all, there, against a confusion of reeds. This brief, single encounter was both a thrill and a frustration. On 1st December at Marble Hill in the Lewis Pass, we had just finished failing to photograph H. australiae and were just pulling out of our lunchtime parking space when a large dragonfly first sniffed around the passenger side window of our campervan beside Carol, then briefly investigated her side of the windscreen before disappearing. It was obviously a Giant but I couldn’t tell which. There are two candidates, the Bush Giant (U. carovei) and Mountain Giant (U. chiltoni). I pulled back in to the parking place and went looking, somewhat frantically, but alas, we couldn’t find our celebrity again. I described our contact and precise location to the master of NZ Dragonflies who studied the habitat and suggested it would have been the Bush Giant (U. carovei). It was at the start of this species’ flight season. It was thrilling but at the same time gutting – so near yet so far.